Route optimization is key to saving time. Whether it is for work or pleasure, it always better to get from point A at to point B as quickly as possible. There are tons of apps out there that do this for any purpose you can imagine. Here is a list of some key players. 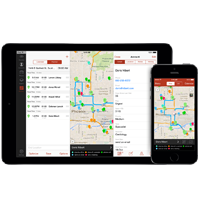 Badger Maps is mapping software geared towards outside sales and field service. Sales reps put in all of their customer data by uploading an excel sheet or connecting with an existing CRM. Reps make sales routes, which are automatically optimized. It is compatible with desktop, smartphone, and tablet, so reps can use it on the road. If you're a sales rep looking for a tool to increase efficiency, save gas, and fit in more appointments, this is the one to get. This Web App allows the user to put in multiple locations to optimize a route. It is a free application that can be used for any purpose, whether it be a vacation or a delivery man. The main downside to this application is the user has to enter in the address every time, as there is no way to create an account or store data. However, it is still a nice free option that is out there. 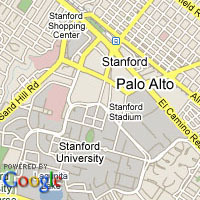 Google Maps is a great application for directions optimization because it factors in current traffic conditions. You could also add in multiple locations and it is functional on the computer or on smartphones. This works great for vacations or road trips, but also for city travel, as it can tell you public transportation, as well. Before Microsoft shut this product down last year, it was a common mapping analysis tool for many sales teams, so it is still worth mentioning. MapPoint mapped and optimized individual routes for sales reps. Although it was limited in functionality, it got the job done, making it popular and relatively easy to use. 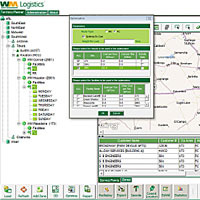 eRouteLogistics is a web-based mapping and route optimization application that can help with waste hauling, retail pick-up & delivery, sales force scheduling, passenger transportation, municipal, and public safety. If you need a multi-purpose mapping software, this is the one to get.